America is, above all, about landscape. Spectacular landscapes which coexist with metropolises that define the word city. In such a big continent, there is space for everything. A trip to America can cover anything from the ice caps of Alaska to the Perito Moreno glacier, or the remote Tierra del Fuego province in Argentina. There is also plenty of room for the vast sandstone butts of Monument Valley, the Atacama desert, or the immense Salar de Uyuni salt flats in Bolivia. Tours in America cover forests, like the Yellowstone National Park, the Rocky Mountains in the USA, or Los Alerces National Park which spans from Argentina to Chile. There are colossal waterfalls, such as the Niagara and Iguazu falls. And when your eyes have been satisfied with landscapes, you have yet to begin with the thousand-year-old constructions of the Incas and the Mayans in Peru, in Mexico, and in Guatemala. The sky is simply bigger in America. 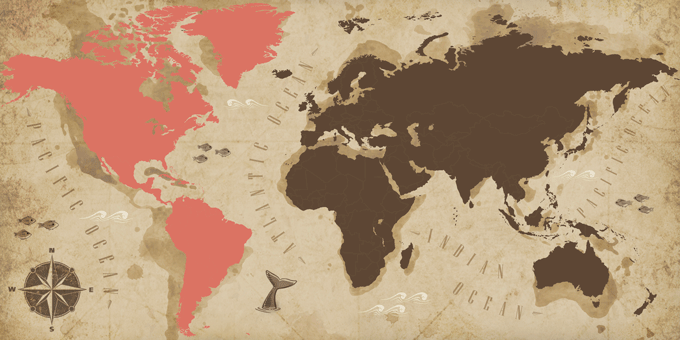 If Americas has caught your attention, leave us your number so we can call you to discuss the voyage that awaits you.